Why Sleep Train My Baby? When I started Baby Sleep Trainer years ago I never knew helping families get their babies to sleep through the night and take healthy naps would still be my life’s work and passion years into the future. Sometimes I forget that parents ask themselves every day, “Why sleep train my baby?” Let’s focus on some of the main reasons parents may ask themselves that question. Is sleep training good for baby? I don’t think families explore whether sleep training is appropriate for their baby unless they feel there is some room for improvement in their child’s sleep. Perhaps their newborn seems fussy or tired a lot or their baby was sleeping great and suddenly started experiencing a sleep regression. 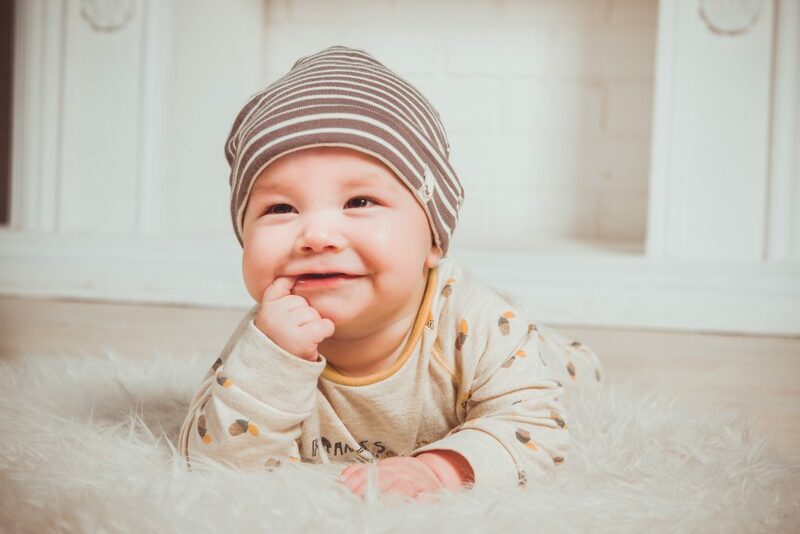 Occasionally some families may explore if sleep training is right for their family because they want to do the best they can for their baby, and they feel healthy sleep habits would be beneficial to establish early on. Ultimately the number one reason to sleep train is because it helps the baby. Babies who don’t get enough sleep are crabby and fussy, and generally are not thriving as much as they would be if they were getting enough sleep. Sleep training can mean different things to different people, but when I use the term “sleep training,” I am referring to a child being able to go down alone and awake in a crib, flat on their back with no sleep props (including swaddles, crib positioners, etc) and be able to fall asleep 100% on their own for naps and bedtime. Once that skill is established, babies are typically able to fall back to sleep unassisted overnight (unless they need a feeding). As they grow older, knowing how to fall asleep on their own for naps can also help them connect their sleep cycles during naps. Being able to fall asleep 100% independently is the number one factor that will help an infant or toddler sleep get the healthy sleep they need. If baby isn’t sleeping, Mom (and other caretakers) are often not sleeping either. It’s often unpopular in Western cultures to admit that lack of sleep is harmful to mothers as well. Lack of sleep dramatically increases the likelihood that a Mom will suffer from postpartum anxiety or depression, not to mention the effects sleep deprivation can have on a person’s ability to safely navigate a car or deal with any number of tasks that require attention and concentration. Sleep deprived mothers have a harder time feeling they are performing their best at home, to say nothing of work. One reason families forgo sleep training is because, in a sleep deprived and truly exhausted state, sleep training may seem like a complicated and daunting task. Baby Sleep Trainer online programs provide affordable, clear, and easy to watch content that can help children get the sleep they need quickly – and most importantly, with the least amount of crying as possible, as well as the hands on support Mom needs. If your baby isn’t sleeping, there is hope! Check out my online program now! It’s normal to feel nervous! Most of my clients tell me that, among other emotions, they feel nervous about starting sleep training. I always tell them that it would be weird if they didn’t feel a bit nervous! After all, there’s a tremendous amount of false information out there when it comes to the safety of sleep training, but thankfully you can feel confident that when implementing a program like the Baby Sleep Trainer method, your child can get the sleep they need in less time than you think, with the least amount of crying as possible. Remember, there are lots of reasons to sleep train your baby. Babies are healthier when they get the sleep they need. Parents are not always able to help babies get the sleep they need (even when trying). Often, children need to learn to fall asleep independently in order to be able to sleep well. Mothers benefit from getting the sleep they need! Well-rested caretakers make for the best parents, partners, employees, friends, and volunteers possible. Sleep training usually takes less time, and crying, than parents think. 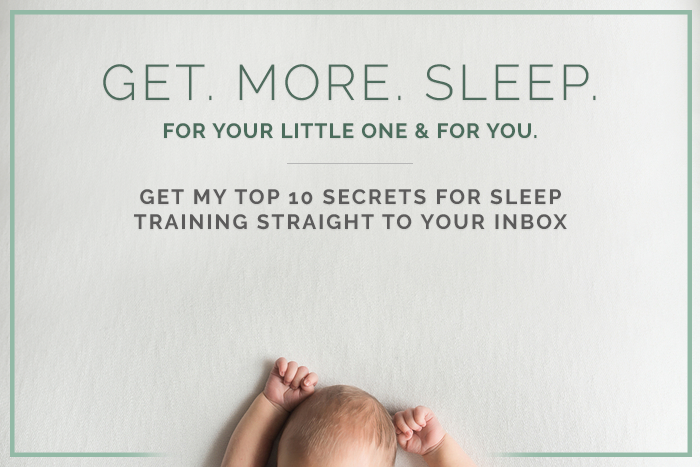 There’s lots of opinions, questions, and thoughts out there when it comes to sleep training – if you have any you’d like me to answer, feel free to post them in the comments below. Sweet dreams and remember, Baby Sleep Trainer is always here if you need it.